The summer is always a busy time in Las Vegas and this summer the tournament schedule will be a little bigger thanks to Planet Hollywood. 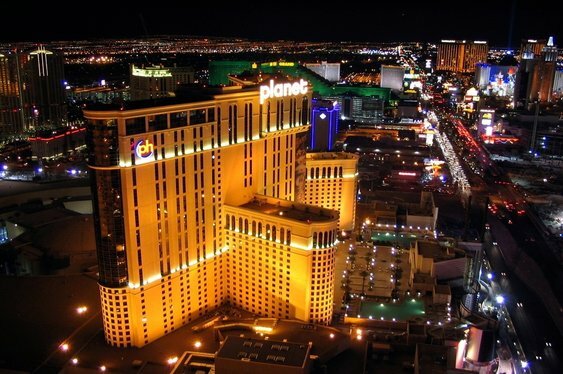 In something of a homage to the World Series of Poker, Planet Hollywood, Las Vegas, will host its own MTT festival complete with similar, yet smaller priced tournaments on offer. The series will get underway with the aptly named Colossus Jr. Costing the same as the WSOP's Colossus event but with a smaller guarantee ($500,000), this event will pave the way for a string of tournaments with prizepools ranging from $100,000 to $1 million. In addition to the $100K maker (a nod to the WSOP's millionaire maker), the PHamous Poker Series Goliath will offer a $1,105 Main Event on June 28. Offering two starting days and a $1 million guarantee, the tournament will serve as an interesting alternative to those wanting to find some value outside of the Rio. The other standout on the schedule is the Chad Brown Memorial Tournament. Set up to honour the former PokerStars pro and WSOP bracelet winner who passed away, the event currently doesn't have a buy-in but the organisers expect a number of pros to take part. The PHamous Poker Series Goliath will run from May 31 until July 5 and the organizers believe it will be the "second biggest tournament series" in Vegas this summer.